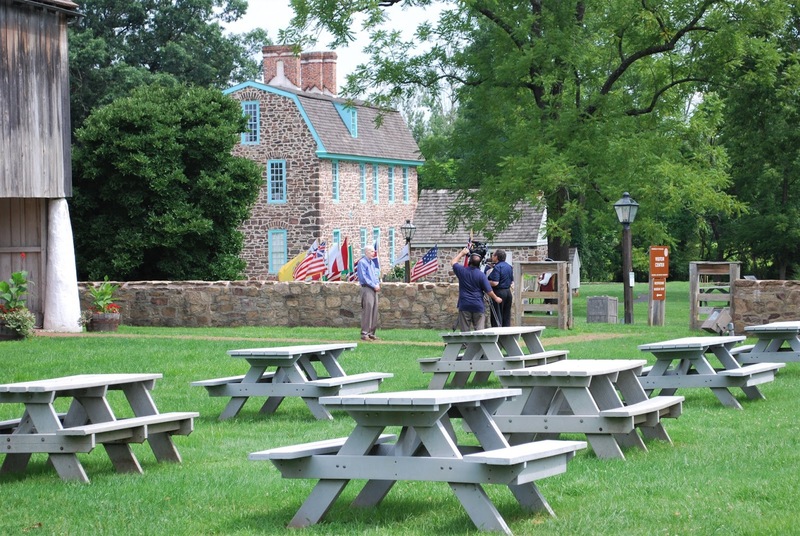 Many PA Trails of History sites will be open on Monday, Sept. 3, for Labor Day (noted below). The full listing of September programs is available. Sept. 1: Museum Night at the Ballpark—watch the Scranton/Wilkes-Barre RailRiders take on the Pawtucket Red Sox, remember The Office (maybe get a bobblehead), and help support the Anthracite Heritage Museum and Scranton Iron Furnaces. More info is on the museum website. Game time is 7:05 pm. Sept. 3: Labor Day—site open, check website for hours. Sept. 9: Afternoon Lecture Series—check the website for details. Sept. 11: Remembrance Day—the annual ceremony commemorating the Battle of Brandywine, Sept. 11, 1777, and the events of Sept. 11, 2001, will be held. Event is free. 6-7 pm. Sept. 8: General Meeting and Lecture—Serena Pape will present a program on West Overton Village, birthplace of Henry Clay Frick, exploring the history of the site as well as its current museum and other activities. Cost is $5 (free for members). 1 pm. UPDATE Sept. 1-2: Site open and Patriotic Concert—the site will be open Saturday from 10 am to 4 pm and Sunday from noon to 5 pm. Also on Sunday, the rescheduled Ringgold Band concert (free of charge) will take place at 5 pm. Sept. 9: Living History Sunday—historical reenactors help bring the site and its history to life; today's theme is women's domestic activities. Guided tours offered. Noon-4 pm. Sept. 6: Student Historians Informational Meeting—students aged 14 and up and their parents are invited to learn more about Ephrata Cloister's Student Historian program. This after-school club (meets Thursdays 3:30-5 pm) invites young people to gain community service experience while engaging in a variety of activities at the historic site. Register for the informational meeting by calling 717/733-6600. Sept. 8: Ephrata Cloister Upstairs—a chance to view the upper floors of the 1743 Sisters' House, which are generally not open to visitors. Stairs are narrow and steep and may not be suitable for all visitors. Tickets are limited and advance registrations are encouraged; call the site at 717/733-6600. Cost per person is regular admission plus $15. 10 am-3 pm. Sept. 10-11: Closed for maintenance—the site is schedule to be closed for maintenance on Monday, Sept. 10. Sept. 11 is the rain date for the maintenance project. If you plan to visit on the 11th, please call ahead (717/733-6600) to make sure they are open. Sept. 10: Commemoration of the Battle of Lake Erie—to mark the 205th anniversary of the Battle of Lake Erie, a wreath laying ceremony and remarks will take place on the Outdoor Plaza of the Erie Maritime Museum. This year also is the 30th anniversary of the launch of the current incarnation of the U.S. Brig Niagara. Event is free and open to the public. 5:30 pm. Please check the Fort Pitt Museum website for information on programs and events this month. Sept. 5: Life in William Penn's Woods—take a guided walk of the grounds to learn about the plants and trees there now and in the Graemes' time. Leashed dogs are welcome. Cost is $2 per person. 6-7 pm. Sept. 9: Site open—enjoy the grounds and take a guided tour of the mansion. Admission charged. 1-4 pm (tours at 1:00 and 2:30 pm). NOTE: site is closed for tours on Sun., Sept. 2. September 2: Ice Cream Sunday—enjoy a "Celebration of Fine Art & Fine Craft" with the Pennsylvania Guild of Craftsmen. The event is the culmination of a competition among artists and features judging of plein air artworks produced outdoors throughout the summer at the museum. Juried artists and craftspeople will also exhibit their pieces in the grove while lively music will play in the Firehouse. Free ice cream and wagon rides round out the event. (More details on the website.) Included in regular admission (free for members). Noon-5 pm. Sept. 13: Lecture—Jeffrey Snedden, freelance writer and historical researcher, will present a talk on life in Beaver County during World War I. Visitors will also have a chance to see OEV's exhibit on World War I. Free and open to the public. 7 pm. Sept. 2 & 9: Special programming—Sept. 2, Historic Trades Day features joyners, blacksmiths, and spinners; Sept. 9, Living History Theater presents "New Colony, New Rules. "Included in regular admission. 1-4 pm. Sept. 1: Community Yard Sale—bargain hunters traveling Route 6 will find vendors in the parking lot of the museum on Saturday. Interested vendors may contact the museum at 814/435-2652 to reserve a spot ($10 donation). 10 am-4 pm. Sept. 3: Labor Day—open regular hours, 10 am-5 pm. Guided tours at 11 am and 1 pm. Sept. 8-9: Then & Now Living History Bivouac—explore a range of military uniforms and equipment from the 18th century to the present during this military timeline program. Battle dress uniform show and weapons demos at 1 pm each day. 10 am-4 pm. UPDATE 9/8: due to impending weather, the program is cancelled for 9/9. Sept. 9: Friends' Lecture Series—Colonel Lewis Watt will present "Experiences of a Test Pilot." 2-3 pm. Sept. 8-9: Railroad Heritage Days—explore the rich history of railroading through presentations, model train layouts, art and photography, and more. Included in regular admission. Sat., 9 am-5 pm; Sun., noon-5 pm. Sept. 7-9: Mountain Craft Days—since 1970, this event has brought together artisans and craftspeople of all types, and now includes children’s activities, cooking demonstrations, entertainment, and great food (visit SHC's Facebook page for previews of all kinds of activities). Admission is $9 for adults, $5 for kids 6-17 (Friday school tours are $3 per student). 10 am-5 pm. Please check the Planetarium page for program schedule. Sept. 1-3: Archaeology at Kipona—staff from the museum's Section of Archaeology will be on Harrisburg's City Island to talk about excavations on the island. 10 am-6 pm each day. Sept. 5-12: Mammal Hall closed—due to construction, Mammal Hall will be closed for a week. Later this month the museum will celebrate Mammal Hall's 50th birthday with a slew of activities (see calendar of events). Sept. 5-25 (weekdays only): Archaeology at Fort Hunter—Section of Archaeology staff and volunteers will be at Fort Hunter (north of Harrisburg) for this season's excavations (more info on the website). The public is invited to stop by between 9:30 am and 4:30 pm on weekdays. Sept. 7: StoryTime—this month's focus is spiders! Gather in Ecology Hall to read Walter's Wonderful Web by Tim Hopgood, play a fun spider web game, and make a spider web craft to take home. Designed for kids 3-5 years old with an adult. Included in general admission. 10-11 am. Sept. 7 & 9: Art of the State activities—on Sept. 7, visit the Art of the State exhibit during a Learn at Lunchtime event; museum docents will provide tours of the exhibit starting at 12:15 pm. Included in general admission. On Sept. 9 (the last day of the Art of the State exhibit), the museum will participate in Harrisburg's Gallery Walk, which means general admission is free; an Artist Conversation program will be offered at 2 pm. Sept. 13: Nature Lab program—learn about Pennsylvania Wild Canines, such as coyotes, red and gray foxes, and timber wolves. Designed for visitors age 7 and up. Included in general admission. 11:30 am. Please visit Washington Crossing's Calendar of Events page for info on park and historical programming. Please see last week's post for events and programs coming up between now and the end of the month. I've highlighted some of this weekend's events below. As I was paring the list of events to include below, I was struck that several of them included the end of special hours or tours that were in place for the summer. I guess I haven't been paying attention, but in lots of ways, the end of August signals the transition to fall. Even when you don't have kids in school, there is a distinct change felt around this time of year (and not just because the school buses return to interfere with my morning commute, dadgummit). But anyway, here are some items that I think may be of interest. During the course of the spring and summer, the majority of sites on the PHMC's PA Trails of History signed up to be part of the "Museums for All" program, an initiative of the Association of Children's Museums and the Institute of Museum and Library Services. Participating museums nationwide offer discounted general admission to people who present an Electronic Benefits Transfer (EBT) card along with ID. PHMC (see list of participating sites) set "Museums for All" admission at $2 per person. In the period from April through June, 126 people received discounted admission at 11 sites. An article in the Scranton Times-Tribune included mention of Sarah Sporko, who is entering her senior year at Misericordia University. As a Summer Undergraduate Research Fellowship Program participant, Sarah spent the summer at the Anthracite Heritage Museum working with staff to prepare for an upcoming photography exhibit. She was supervised by Jennifer Black, Ph.D., assistant professor of history at Misericordia, and Bode Morin, Ph.D., site administrator at Anthracite Heritage. The photography exhibit is set to open in November (we'll keep you posted). I mentioned in a previous post (I think) that 2018 is the 300th anniversary of Pennsylvania founder William Penn's death. To commemorate the event, Pennsbury Manor has been focusing on Penn's legacy with various programs, including an upcoming panel discussion and luncheon with Pennsylvania's current governor and several past governors. But Penn and Pennsbury have inspired others, as well. A recent Facebook post alerted me to The William Penn Story, a new musical production by Philadelphia's Brotherly Love Theatre Company (BLTC). BLTC describes the production as "an amalgamation of jazz, funk, hip-hop, rock, and 17th-century Quaker ideology...inspired by productions like 1776, Bloody Bloody Andrew Jackson, and Hamilton: An American Musical...." The musical will be staged at Lemon Hill Mansion in Fairmount Park on Sept. 9, 13, 16, and 19 as part of the 2018 Philadelphia Fringe Festival. Aug. 25: Bushy Run Market—it's the 4th Saturday of the month, so that means a variety of vendors will be on site for your shopping enjoyment (more info on the website). Free for visitors and vendors. 8 am-noon. Aug. 25: Lecture/demonstration—Revolutionary War interpreter Paul Trainor will present "18th-Century Medical Practices," which includes a display of period medical instruments. Included in regular admission. 2-4 pm. Aug. 25: Drake Day Circus—experience a traveling circus as it might have been during the height of the Pennsylvania oil boom (more info on Facebook event page). Admission charged. 10 am-4 pm. Aug. 26: Historic Pithole Open—the visitor center will be open for the final time this season, so enjoy the orientation film and the excellent diorama that shows the town in its heyday. PLEASE NOTE that Pithole will be closed on Aug. 25 so that staff/volunteers can be at the Drake Day Circus. Admission charged. 10 am-4 pm. 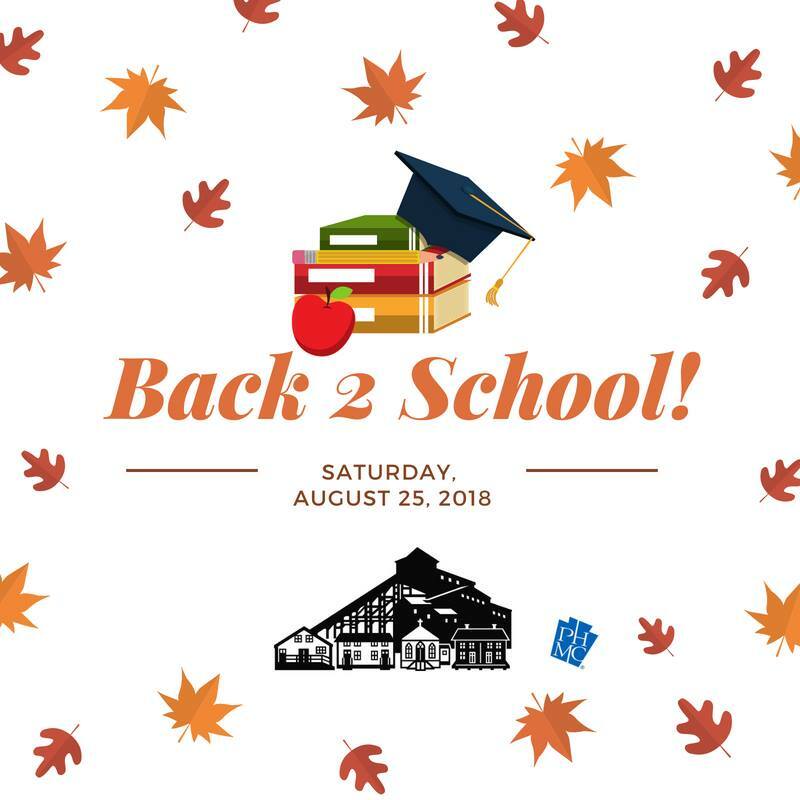 Aug. 25: Back to School at Eckley—explore the village, visit the buildings, and take part in hands-on activities and a scavenger hunt as you go. Admission charged. 10 am-4 pm. Aug. 26: Site open—enjoy the grounds and take a guided tour of the mansion. Admission charged. 12:30-4 pm (tours at 1:00 and 2:30 pm). Aug. 26: Special programming—this week, Beer Brewing and Garden Highlights. Included in regular admission. 1-4 pm. Aug. 25-26: Saturday and Sunday, the 1 pm guided tour is included in museum admission. Aug. 25: History on a Hayride—hear local tales and explore the historical center grounds from your seat in a hay wagon. Two rides each day. Cost is $10 per person, $8 for members. 10 am-2 pm. Aug. 24: Summer Friday (last of the season)—general admission is "pay as you wish" today, 9 am to 5 pm. Curiosity Connection will have free timed tickets available. Art docents will be on hand in the "Art of the State" exhibit from 11 am to 1 pm. Regular fees apply for planetarium shows. From 12:15 to 12:45 pm, curator Janet Johnson will present a program on the archaeological excavations at Fort Hunter. Sneak preview/programming note—the Patriotic Concert event originally scheduled for July 1 and postponed due to the heat has been rescheduled for Sunday, Sept. 2, at 5 pm. Aug. 17: Blast!—this event features local breweries and wineries (more info on Facebook), music by jazz keyboardist Wayne Fox, and catering by Hess Barbecue (pulled pork sandwiches, marinated chicken, sides, and dessert). You must be at least 18 years old to attend and 21 to sample alcoholic beverages. Tickets at the door tonight are $45 ($30 for DDs and under 21). 6-9 pm. Aug. 22, 29: Sawmill Operation Days—subject to staff availability, there will be demonstrations of the site’s water-powered sawmill at 11 am and 2 pm. Aug. 18-19, 25-26: Historic Pithole Open—the visitor center will be open, so enjoy the orientation film and the excellent diorama that shows the town in its heyday. PLEASE NOTE that Pithole will be closed on Aug. 25 so that staff and volunteers can be at the Drake Day Circus. Admission charged. 10 am-4 pm. Please visit the Fort Pitt Museum website for information on this month's programs and events. Aug. 20: Living History Sunday—learn about the impact of the American Revolution on the folks living at Graeme Park and environs from some of General Anthony Wayne's soldiers. Admission charged. Noon-3 pm. Aug. 30: Happy Hour with the Historian—Roddy Davis will present "The Philadelphia White House," featuring the Deshler-Morris House in Germantown, which George Washington used as a retreat from the city (when it was the U.S. capital) during the 1793 yellow fever epidemic. Admission is $5, free for members. Food and drink available for purchase starting at 6 pm; lecture starts at 7. Aug. 19, 26: Site open—enjoy the grounds and take a guided tour of the mansion. Admission charged. 12:30-4 pm (tours at 1:00 and 2:30 pm). Aug. 18: Basket Weaving—stay tuned to the website for updates on this workshop. Aug. 19: Concert in the Garden—enjoy a summer evening concert by the River City Brass (bring lawn chairs, blankets, and a picnic supper). Event is scheduled to take place outdoors; in the event of bad weather it will move into the Feast Hall, so tickets are limited (check the Facebook event page or the OEV website for info on purchasing tickets). Gates open at 4 pm, concert starts at 5. 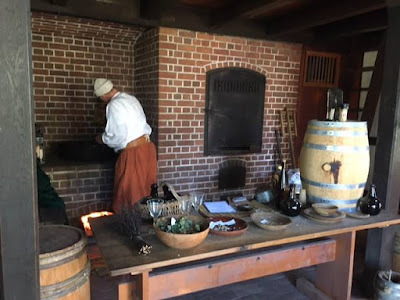 Aug. 19, 26: Special programming—8/19, Open Hearth Cooking; 8/26, Beer Brewing and Garden Highlights. Included in regular admission. 1-4 pm. Aug. 18: Build and Sail a Log Raft—a mini log raft, that is. Learn how early loggers built rafts to get logs to market, then try your hand at building and sailing a miniature version. Bring water shoes, because you'll be going into the creek (more info on Facebook event page). 1 pm. Aug. 18-19, 25-26: On weekends in August, the 1 pm guided tour is included in museum admission. Aug. 18-19: Model Railroading Days—model train layouts from numerous railroading clubs will join the museum's layouts for a weekend of family fun and learning. Included in regular admission. 9 am-5 pm. Aug. 18: Escape Room—two 60-minute games offered each day for up to 10 players. Solve the clues to escape from the barn. Cost is $10 per person. 10 am-2 pm. Aug. 18: Lecture Series—Bill Rump of the Laurel Highlands Bottle Club will present "Bottle Documentation and Identification." Bring along your Somerset County (or other) glass bottles to help the center document local examples. 2 pm. Please visit the Planetarium webpage for a full schedule of shows. Aug. 22-23: Curiosity Kids programs—museum staff will lead younger visitors on an exploration of the museum (program details are on the events calendar). Included in regular admission. 11:30 am. Aug. 17, 24: Summer Fridays—general admission is "pay as you wish" on Fridays, 9 am to 5 pm. Curiosity Connection will have free timed tickets available. Art docents will be on hand in the "Art of the State" exhibit from 11 am to 1 pm. Regular fees apply for planetarium shows. From 12:15 to 12:45 pm, a variety of Learn at Lunchtime programs will be offered (check website for specifics). Aug. 17: 3rd in the Burg—the "Great Summer Switch" is on the program. Susquehanna Art Museum director of education Tina Sell will lead a tour of the State Museum's "Art of the State" exhibit at 6 pm. Visitors can then walk up the street to the Susquehanna Art Museum where PHMC Commissioner and artist Ophelia Chambliss will lead a group through their exhibit, "Romare Bearden: Vision and Activism," at 7:15. Admission is free. The State Museum will be open 5:30-7:30 pm. Please visit the Washington Crossing website for information on programs and events. This is officially the 500th Trailheads post since we started back in August of 2009. On behalf of all who've posted, thanks for reading! Last week's post included Trails of History events running through next Thursday (there have been a couple of updates) or you can check the August program page if you're planning further ahead. 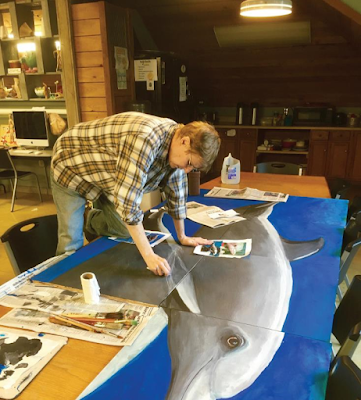 Linda Bolla of the Erie Maritime Museum and U.S. Brig Niagara (a frequent Trailheads contributor and guest blogger these past 9 years) sent an update on the two-gallery exhibition opening at Erie Maritime this weekend. The overall title for the project is A Celebration of Life and Work on Our Waterways. The museum's West Wing Gallery will feature "THE RIVERS: A Celebration of Life and Work on America’s Waterways," a series of watercolors by Daven Anderson, Managing Director of the American Society of Marine Artists and Executive Director of the Missouri Watercolor Society. Anderson is a U.S. Coast Guard Artist and a graduate of the U.S. Naval Academy. As a complement to Anderson's work, the museum's Orientation Theater will display works by members of Erie's BLOOM Collaborative, which is dedicated to promoting better health through the arts. Anderson will present a gallery talk on Saturday, Aug. 11, at 2 pm, and there will be an opening reception from 1 to 2:30 pm on Sunday, Aug. 12 (more info). The exhibits continue through Oct. 27. From Graeme Park's Facebook page: Last Friday Grover Silcox and his crew showed up to film an episode of "Let's Go!" --a show that highlights family-friendly things to do and places to go in the Lehigh Valley and beyond. Friends of Graeme Park Vice President Jack Washington volunteered to be the on-camera spokesperson (see photo below) and show them around, while a whole crew of costumed reenactors including John and Carol Brunner, Steve Griffith, Mary Washington, Julie Thibeau, Germain Ledoux, Bill Sparke, Jim Miller, Michael Carver, and Ellen Idelson, were on-hand to add to the Colonial atmosphere and show some local children how to play colonial games. The episode premiered last night but if you're in the WLVT viewing area, you can catch it again tomorrow (8/11) at 5:30 pm or on Tuesday, Aug. 14, at 7. Bushy Run Battlefield hosted its annual reenactment this past weekend. TribLive covered the event, and you can read all about it in their article. You can also see photos and video on Bushy Run's Facebook page. This weekend, the site is bringing back its popular tabletop gaming event (read more about that on the event page). The Boys and Girls Club of Somerset recently visited Somerset Historical Center to see their lime kiln (built on site over the past few years) and learn about how the different uses of lime (no, not the kind in margaritas, the kind that comes from limestone). They shared some great photos on their Facebook page. And finally, if you're planning to see The Meg this weekend (or ever), you might want to check out this article from PennLive. They talked to State Museum of PA paleontology and geology curator Dr. Steven Jasinski about megalodons to help separate fact from movie fiction (lots of good photos in this one). Don't let the summer heat keep you from enjoying all that the PA Trails of History have to offer. The full August program page is on the sidebar. The weekly post on August 17 will include the remainder of the month. Aug. 4-5: 255th Anniversary of the Battle of Bushy Run—if you've attended this event before, please note that the schedule has changed. The reenactment of the first day of the battle will take place on the afternoon of Aug. 4, with the 2nd day reenactment on the afternoon of Aug. 5 (see the website or Facebook event page for details). 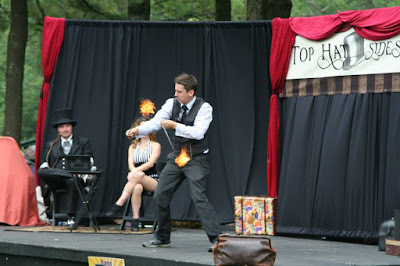 You'll also find military camps, period craftspeople and musical performances, and food vendors at this annual event. Admission is $10 for ages 13+, $5 for ages 4-12; a two-day pass is available for $15 (adult) and $7 (child). 10 am-4 pm both days. ADDED Aug. 11: Games Day—historically themed tabletop games are back! $5 gets you admission to the event plus guided tours of the museum and battlefield (check out the Facebook event page for more info). 9 am-5 pm. 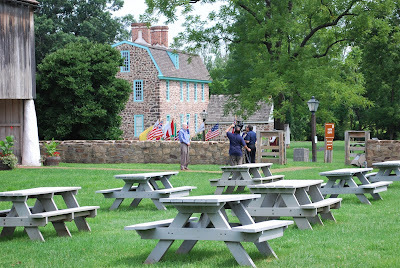 Aug. 5: Living History Sunday—learn about life in Berks County in the mid-18th century. Guided tours offered. Free admission. Noon-4 pm. Aug. 14: Lecture—Pat Freeland will present "Virtual Tour of Cornwall Iron Furnace." Part of the Friends of Cornwall Iron Furnace lecture series, the program takes place in the auditorium of Freeman Community Center at Cornwall Manor. 7 pm. Aug. 8, 15: Sawmill Operation Days—subject to staff availability, there will be demonstrations of the site’s water-powered sawmill at 11 am and 2 pm. Aug. 4-5, 11-12: Historic Pithole Open—the visitor center will be open, so enjoy the orientation film and the excellent diorama that shows the town in its heyday. Admission charged. 10 am-4 pm. Aug. 5: Drake Well Marathon and 1/2—this is a qualifying event for the Boston Marathon. Both races (full marathon and half marathon) begin and end at the Museum and make use of Titusville streets and the bike path in Oil Creek State Park. Proceeds benefit Drake Well Museum and Park. You must register to participate. Aug. 4-5: 1940s Weekend—learn about life during World War II through home front and military displays, music, food, and more throughout the site. 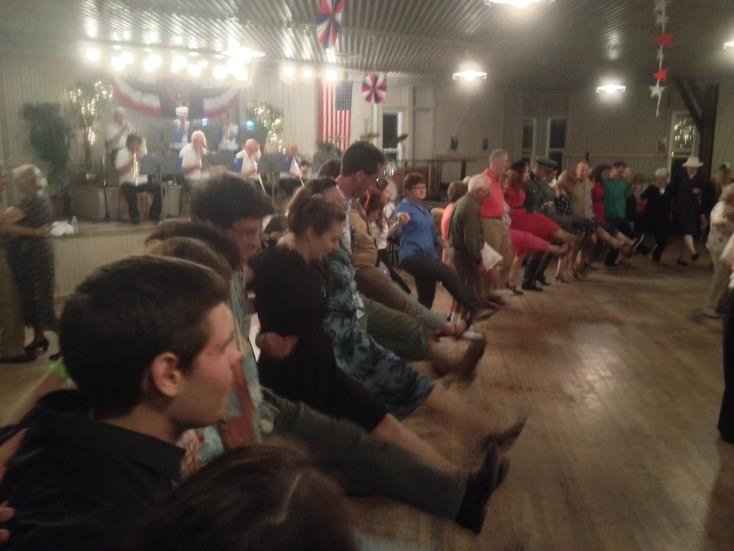 Off-site at 6 pm on the 4th, there will be a Swing Dance at Freeland Public Park Pavilion. Admission charged (separate fee for dance). 10 am-5 pm. Aug. 5: Ice Cream Social—ice cream sundaes, music by Ethan Fasnacht, spinning and weaving demos, therapy dogs from KPETS. What a great way to spend an old-fashioned summer afternoon. Admission is $5 per person for ages 5 and up (younger than 5 get in free). 1-4 pm. 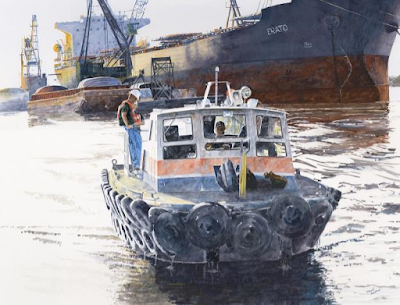 Aug. 11-12: A Celebration of Life and Work on Our Waterways—the centerpiece of this project is a two-gallery exhibit featuring the work of watercolor artist Daven Anderson and works by members of Erie's BLOOM Collaborative. Anderson will present a gallery talk on Aug. 11 at 2 pm. There will be an opening reception at 1-2:30 pm on Aug. 12 (more info). The exhibits continue through Oct. 27. Aug. 14: Erie Gives—you can support the museum and ship and stretch your donation by participating in Erie Gives Day. Online giving only, 8 am-8 pm, on the Flagship Niagara League's Erie Gives page. Please visit the Fort Pitt Museum website for information on programs and events. Aug. 5, 12: Site open—enjoy the grounds and take a guided tour of the mansion. Admission charged. 12:30-4 pm (tours at 1:00 and 2:30 pm). Aug. 5: Oxygen Day—in honor of Dr. Priestley’s best known scientific contribution, this program features costumed docents throughout the house and chemistry demonstrations (more info on the website). Admission is free. 1-4 pm; chemistry demos at 1:30 and 2:30 pm. Aug. 7: Hands-On History Day—today's theme is the letter "W": there's a School House lesson about “Washing the Sheep,” historic wooden games, wool working, and making a simple toy (more info and online ticketing on website). Cost per program is $11 per person (FREE for Landis Valley Associate members and kids age 5 and under). 10 am-3 pm. Aug. 11: Introduction to Woodworking—stay tuned to the website for updates on this workshop. 10 am-1 pm. Aug. 5, 12: Special programming—8/5, Historic Trades; 8/12, Living History Theater. Included in regular admission. 1-4 pm. Aug. 4-5: Family History Camp—this 2-day program is designed for families with kids age 10 and older. On Day 1, learn about the history of logging in PA and the skills needed to be a successful "woodhick." On Day 2, help demonstrate those skills at the Cherry Springs Park Woodsmen's Show. Pre-registration is required (visit the museum website for details). Also on Aug. 4, the museum will offer an all ages birling clinic (weather permitting) for people who want to learn or practice log-rolling (see Facebook event for more info). Aug. 4-5, 11-12: On weekends in August, the 1 pm guided tour is included in museum admission. Aug. 5: Friends' Lecture Series—local historian and author Bruce Teeple will present "War Fever! How the Government's Anti-German Propaganda Campaign Affected Central Pennsylvania." Donation requested. 2 pm. Aug. 7: Central PA Civil War Round Table Series—Jared Frederick, history instructor at Penn State Altoona and seasonal interpreter at Gettysburg National Military Park, will present "For the People: A Photographic History of the Gettysburg National Military Park." Donation requested. 7 pm. As of Aug. 1: Garden Railway Tour and Swing Dance Tickets on sale—Garden Railway Tour: this year's (self-guided) tour is on Sunday, Oct. 7 (rain or shine). Tickets may be purchased at the museum starting today and will be available at Stauffer's locations in central PA starting Sept. 1. Swing Dance: Saturday night, Nov. 3, will find 1940s dance music and dancers among the trains in Rolling Stock Hall from 7 to 10 pm. Aug. 4: Escape Room—two 60-minute games offered each day for up to 10 players. Solve the clues to escape from the barn. Cost is $10 per person. 10 am-2 pm. Aug. 11: History on a Hayride—hear local tales and explore the historical center grounds from your seat in a hay wagon. Two rides each day. Cost is $10 per person, $8 for members. 10 am-2 pm. Aug. 8-9, 15-16: Nature Lab programs—a variety of presenters will share their expertise in Nature Lab (program details are on the events calendar). Included in regular admission. 11:30 am. Aug. 3, 10: Summer Fridays—general admission is "pay as you wish" on Fridays, 9 am to 5 pm. Curiosity Connection will have free timed tickets available. Art docents will be on hand in the "Art of the State" exhibit from 11 am to 1 pm. Regular fees apply for planetarium shows. From 12:15 to 12:45 pm, a variety of Learn at Lunchtime programs will be offered (check website for specifics). Aug. 3: StoryTime—this month's program will include a tour of selected works in the "Art of the State" exhibit and a reading of Art by Patrick McDonnell. Geared for children ages 3-5 with an adult. Included in general admission. 10-11 am. Aug. 5: Artist's Conversations—take an informal tour of this year's "Art of the State" exhibit with curator Amy Hammond and artist Jo Margolis, whose work on paper, Things Embedded, is featured in the exhibit. Included in general admission. 2-3 pm.